Trucks running at speeds up to 100 miles per hour displaying amazing cornering techniques and super exciting races makes the British Truck Racing Association Championship one of the world’s most exciting truck racing series going! 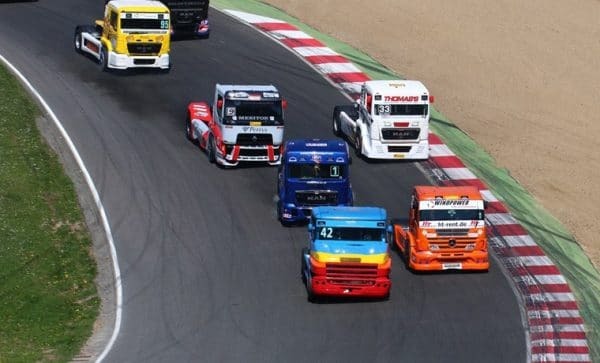 The British Truck Racing Association Championship has been entertaining fans for over 25 years thanks to its entertaining, edge-of-your-seat racing. In the six month season, each truck will race in a multitude of events and five times per weekend. A reverse grid system is also applied to each series to mix things up for all competitors, with two divisions based on the technical specifications of vehicles. Every competitor must have obtained their license from the Motor Sports Association or similar. While, for safety reasons and to keep the races evenly run, a GPS system ensures each truck doesn’t run over 100 mph. The British Truck Racing Association Championship trucks themselves are twin axle tractor units but with extensive performance modifications. The vehicles are fitted out with Turbocharged Engines up to 14,000ccs and have power outputs measuring up to 12,000 horsepower. The minimum front axle weight limit is 3,200 kgs with a total weight minimum of 5,500 kgs while anti-lock brake systems are prohibited, meaning all trucks are fitted with water-cooled disc brakes. The drivers need to be quick and skilled too as traction control and automatic gearboxes are strictly forbidden in these monster racing vehicles. 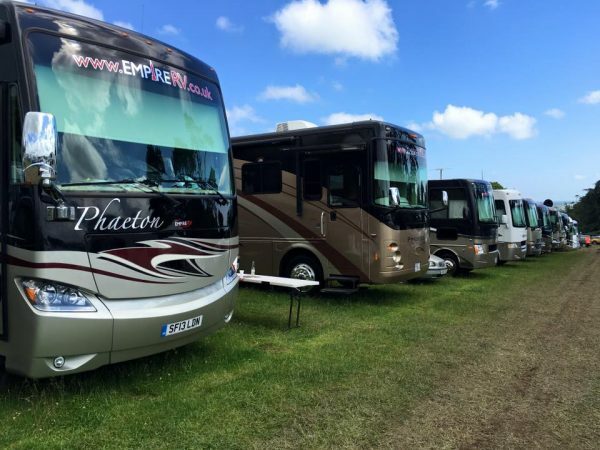 If you’re heading to any of the UK rounds of the British Truck Racing Association Championship then why not opt for comfort, style and convenience thanks to our motorhomes and RVs! When the on-track excitement is over for the day you can soak up the party atmosphere and the shared love of these incredible vehicles with fellow fans. But unlike others who will have to trek back to their hotel or spend the night in a tent, you can get the best of both worlds with the luxury and convenience of an American Motorhome from our fleet. When you rent one of our motorhomes your vehicle will be ready and waiting with a parking spot right next to it. Our all-inclusive service includes 24-hour support at most major events throughout your stay, with your very own Winnebago or American RV provided with bed linen, towels, kitchen equipment, TV/DVD systems, and all you need for a weekend living like your favourite Truck racing hero! We can stock your cupboards on request and offer all our customers a complimentary welcome package, including tea, coffee, sugar, milk and other essentials. Our vehicles are the only way to really immerse yourself in each round, with arrival and departure times flexible to suit your timetable.